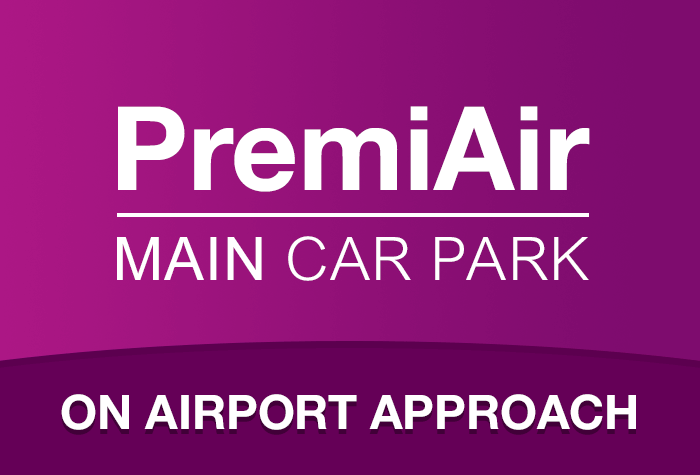 PremiAir is the perfect car park for those who want to stay in control of their parking. Simply drive to the barrier, take a ticket and park. Then, all you need to do is hop on the super-convenient transfer bus, complete with it's own wifi on board, not thatll youll need it for long, because youll be at the terminal in 3 minutes! 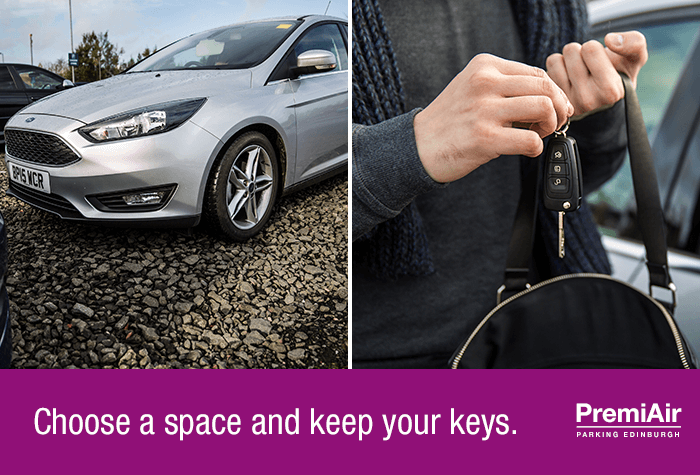 As you kept your keys with you, when you get back, your car will be waiting exactly where you left it. 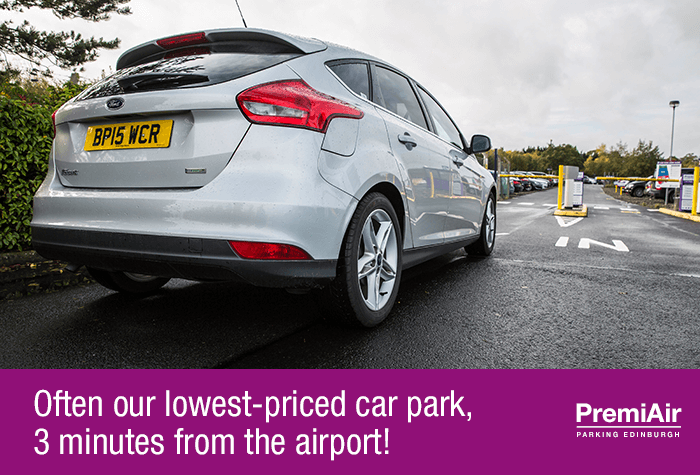 If you want a speedy service that lets you keep your keys, then this is the best Edinburgh airport parking for you. Park Mark-secured parking with fast and friendly service. Keep your keys . 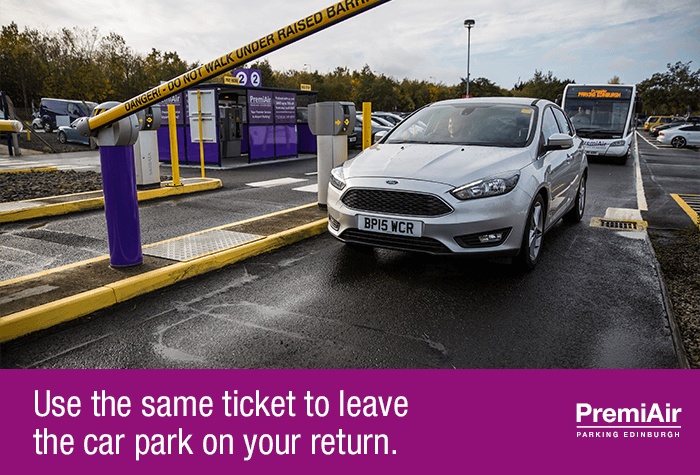 Youll see the big purple signs for PremiAir Main car park from the roundabout - head straight up to the barrier which will recognise your number plate and issue a ticket automatically. If for any reason a ticket isnt issued, press the intercom button and a member of staff will issue one for you. Make sure you keep it safe, youll need it to exit when youre back. 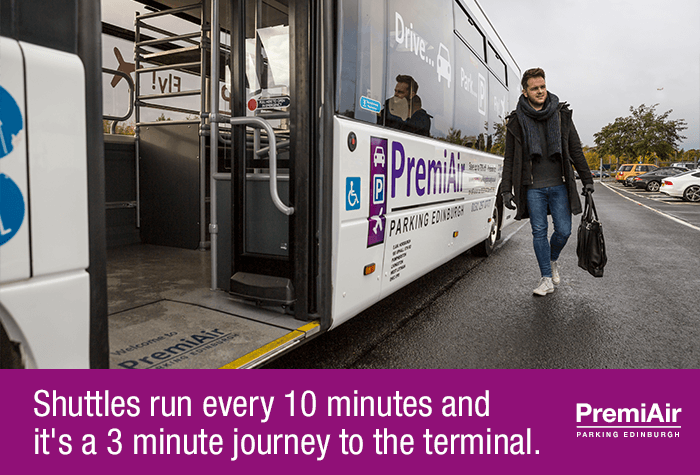 Once through the barriers, find a space, park up, keep your keys and wait at one of the two bus stops for the next shuttle bus which runs every 5-10 minutes and has a 3 minute transfer time to bus stop 6 at the airport coach park. Leather seats and smartly-dressed, friendly drivers will make your 3-minute journey to the terminal as comfortable as possible. 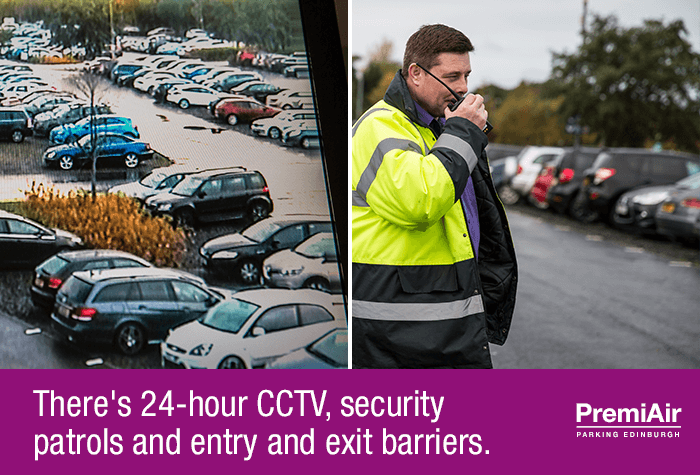 While youre gone, your car is watched over by security patrols and CCTV, which is in use 24 hours a day. There is also security fencing, flood lighting and entry and exit barriers for extra peace of mind. When you come back, jump back onto the shuttle bus from bus stop 6 and pick your car up from where you left it. 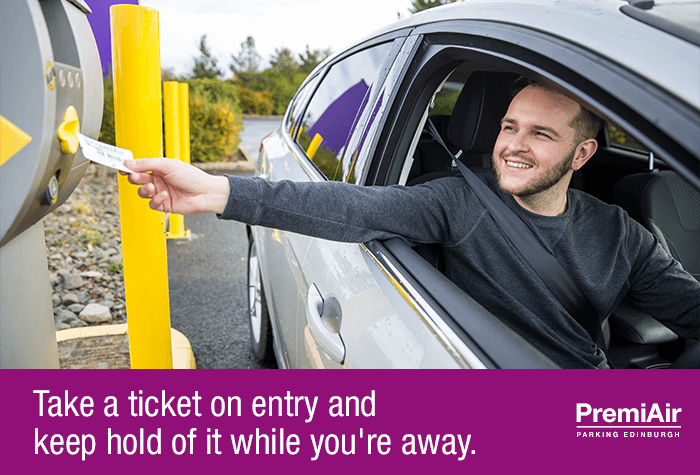 Use your ticket to get out of the barriers and on your way home. If you have any problems exiting, contact a member staff via the intercom button and they will assist you. 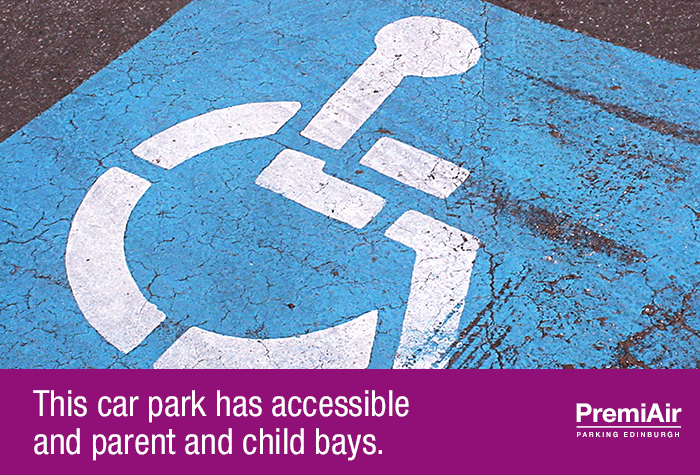 The car park has accessible bays for blue badge holders and bays for parents with children. 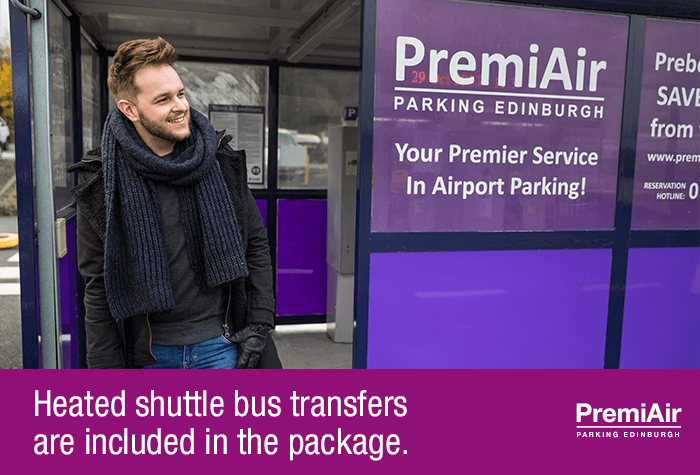 The transfer buses are accessible and there's ramp access to reception and the toilets. There are bus shelters and baby changing facilities. If you stay longer than your booked time, you will be charged extra on departure at the car park's standard daily rate. Unfortunately, no refund will be issued for part-used stays. Please include your car registration at the time of booking or before you travel. Catch the transfer bus to the terminal; it runs every 10 minutes, takes 3 minutes and is included in the price. On your way home, simply catch the bus back to the car park to collect your car - it's that simple! Our customers rated PremiAir on average 9/10 (1779 reviews). Read PremiAir reviews.